This starts the non-judicial foreclosure process. The lender forwards a Declaration of Default and an Instruction to the Trustee to proceed with the NOD, the Trustee will sign and cause to be recorded the NOD in the Office of the County Recorder of the appropriate county. A copy of the NOD is mailed to all parties entitled to its receipt. The Trustee will order a Trustee’s Sale Guarantee (TSG) from a title company. The TSG assures the priority of each lien or encumbrance recorded against the property and provides the mailing information for the parties entitled to receive the NOD. This is the minimum period, required by law, in California, to wait before a Notice of Sale can be published and recorded. Throughout the foreclosure process, up until five (5) days prior to the Trustee’s Sale date, or postponed sale date, the borrower can fully reinstate the loan. The lender may endeavor to negotiate workout and forbearance agreements. The Notice of Trustee’s Sale – 21 Day Publication Period. No sooner than three (3) months from the recording date of the NOD, a Notice of Trustee’s Sale, indicating the place, date and time of the sale, must be published in a local newspaper. Twenty-one (21) days thereafter the property may be eligible to be sold at public auction to the highest bidder. The borrower has the right to reinstate the loan up until five (5) days prior to the published sale date, or postponed sale date. In the event the NOD was filed due to a balloon payment and/or maturity date, the lender(s) may require the loan be paid in full at any time during the foreclosure. Otherwise, in the five (5) days preceding the sale or postponed sale, the lender(s) may accept reinstatement, or require that the loan be paid in full. The Notice of Trustee’s Sale will designate the date, time and location of the auction. The property is typically sold along with other properties auctioned by the Trustee. The lender(s)’ opening bid for the property (also known as the “Credit Bid”) may be the total amount due on the loan, including principal, accrued interest to the date of the sale, late charges, legal fees, foreclosure fees, advances, interest on advances, etc. (referred to as a full credit bid). The opening bid requested by the lender(s) may be less than the total amount due. These circumstances may require the advice of an attorney, an accountant or other professional. Specific bidding instructions to the Trustee are required if under bidding is elected by the lender(s). While full credit bidding may not be appropriate, unless otherwise instructed in writing, no later than three (3) days prior to the sale date, or postponed sale date, the lender will direct the Trustee to proceed with a bid usually in the amount of the unpaid principal balance of the loan, directing the Trustee to increase the Lenders’ bid to the unpaid debt if a third party is bidding at the sale. The property is sold to the highest bidder. If no one bids at the sale, the property is sold to the foreclosing lender(s) for the opening bid, whatever it may be. The Trustee conveys title by signing and recording a Trustee’s Deed Upon Sale. Q. When Can a Lender Foreclose? A. To exercise a non-judicial foreclosure against a borrower’s property, the lender(s) must follow certain statutory procedures set forth in the Civil Code. A lender can begin a non-judicial foreclosure (without proceeding with a lawsuit to foreclose) when a borrower defaults under the terms, covenants and conditions contained in the Note and/or Deed of Trust. Most often a non-judicial foreclosure is begun because a borrower has not paid one or more of his/her/their regular installment payments. Q. 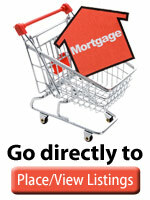 How can a Lender Try to Collect from the Borrower? A. The Lender may begin following up with borrowers if their payments are not received within the normal 10 day grace period. The first contact is attempted by telephone with a follow up letter. If the borrower fails to respond to both telephone and/or written notice of the late payment, a letter is written letting them know of the Lenders intention to foreclose. Q. What are the Costs Associated with a Foreclosure? A. The Lender may use a specialist company to provide foreclosure services, from filing the NOD through conducting the Trustee’s Sale. Acting as the Trustee, the company can charge fees as allowed by law. In addition, the Trustee passes along their mailing, posting, recording and other related costs and expenses of the foreclosure. The Trustee purchases a Trustee’s Sale Guarantee, described above, from a title company. Required publication of the Notice of Sale in newspapers or other publications local to the property result in additional costs and expenses. Depending upon where the property is located and the length of the legal description of the property, the publishing and posting fees vary. Q. Who Pays For the Foreclosure? A. If the borrower reinstates the loan, or enters into a Forbearance Agreement, the foreclosure fees, costs and expenses are collected from the borrower. The lender(s) is/are otherwise responsible for the payment of all foreclosure fees, costs and expenses.